The smartphone industry is all about launching something different and impress the fans on the go. If there is no innovation, then a manufacturer has to face too much of competition. As the market is full of smartphone makers. However companies like Apple and Samsung, they do not really go with the current trend. Instead, they launch what is unexpected. For example, Apple was the first company to make the notch a trend by launching their iPhone X. Although Apple is not the first company to launch smartphones with the notch. But they are the ones who made notch a trending topic, and now every company is working on it. However, if we talk about innovations in the smartphone world. Then there is no doubt we are getting to see innovations that we have only imagined. One of such innovation is the Vivo’s in screen finger print sensor. The in screen print finger print was in the news for a couple of months now. Also now it seems like that there are many other smartphone makers who are also focusing on bringing this technology to their devices. One of such company is the Chinese tech giant Xiaomi. According to a new source of information, We have found that the CEO of Xiaomi, Lei Jun, is focusing on bringing the bio-metric feature to their devices. Even they are already running the tests to make this happen as soon as possible. Furthermore, he has also hinted that company’s upcoming flagship device Mi 7 will feature in screen finger print sensor. If this happens, then Vivo will not be the only smartphone maker in China to have this technology. Also if this happens, then there will be a tough competition between Xiaomi and Vivo, and it seems like there will be a win-win game for Xiaomi. As if we look at Vivo’s previous smartphone launches, well there were not many innovations. They have been focused on making phones with better selfie camera, and now there is a change in the plan. But if you look at Xiaomi’s previous launches, the company has launched devices with an extremely affordable price tags and offered amazing specs. Just in case if with Mi 7 the company decided to put a reasonable price tag. Then there is a high chance that Xiaomi will win over here. Anyway, if we talk about Mi 7’s in screen finger print sensor, well the report came from a Weibo post where Lei Jun responded to a query about an under display fingerprint sensor on the upcoming Mi 7 smartphone. Even that was a pretty big hint for us to assume that there will be an in display finger print scanner integration on the Mi 7 and it is kind of official. Talking about the launch date of the Xiaomi Mi 7’s well it is about to happen. However, we are not really sure about the original date. But the launch is quite close. As Xiaomi follows and annual upgrade cycle just like most of the smartphone makers. So we can assume that the launch of the device is pretty closed. Also, there are couple leaks are appearing almost every day about the upcoming xiaomi device. Even a few weeks back the device had also appeared on GeekBench with the codename of Xiaomi Dipper. These hints are enough to expect a sooner launch date. Apart from the hind by the CEO of Xiaomi, a few other renders leaked by GizChina also have suggested that the Mi 7 might feature an in Screen finger print sensor. Apart from the in screen finger print sensor integration, the device will also be powered by a Qualcomm Snapdragon 845 chipset under its hood. Although it is not a surprise, as almost every flagship device that is going to launch this year will feature a Snapdragon 845 chipset. Even the One Plus 6 confirmed to have the same processor. So it seems like there will be a tough competition between these two brands in the flagship market as well. 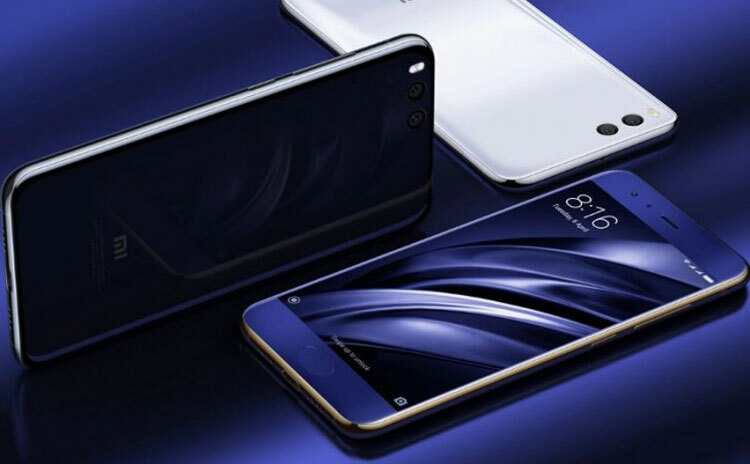 If we talk about some other features, then the Xiaomi Mi 7 going to have 6GB of RAM and may run on Android 8.0 Oreo along with MIUI 10 out of the box. The device is also said to feature a dual camera setup at the rear panel of the Mi 7. The dual camera setup will sport two 16MP sensors. However as of now, there is no information about the front camera specifications. The device will also feature a 6.01 inch bezel less display on the top and may come along with 18:9 aspect ratio. This means the device will not have an Apple iPhone X like notch on the top. There will also be a 4,480mAh battery powering up the device along with fast charging and wireless charging support. A USB Type-C port is said to be present on the Mi 7, and it is a dual SIM card supported device which comes with all the connectivity options. If we talk about the pricing, the rumours suggest that the Xiaomi Mi 7 going to be one of the best flagships in the market this year at a very competitive price. This means the Mi 7 will be priced lower than the OnePlus 6. Also, a few other reports suggest that the pricing of the device could be ¥2,999 or Rs 30,000. If this pricing is said to be true, then there will be a tough competition for One Plus 6. As Xiaomi is going to offer the in screen finger print scanner with the Mi 7. Hence it can be a big attraction for xiaomi to grab the attention of the smartphone buyers. Anyway if we talk about the Mi 7 the device is said to come with gold, grey, and silver colour variants. However as of these details are not officially confirmed. All these information are collected from different leaks and rumours. So let’s just wait a few more weeks to figure out what the company is planning with the Mi 7.